A year ago, I found myself in Key West for a friend’s wedding. They have key lime pie flavored everything down there, so I figured there had to be a key lime donut somewhere. 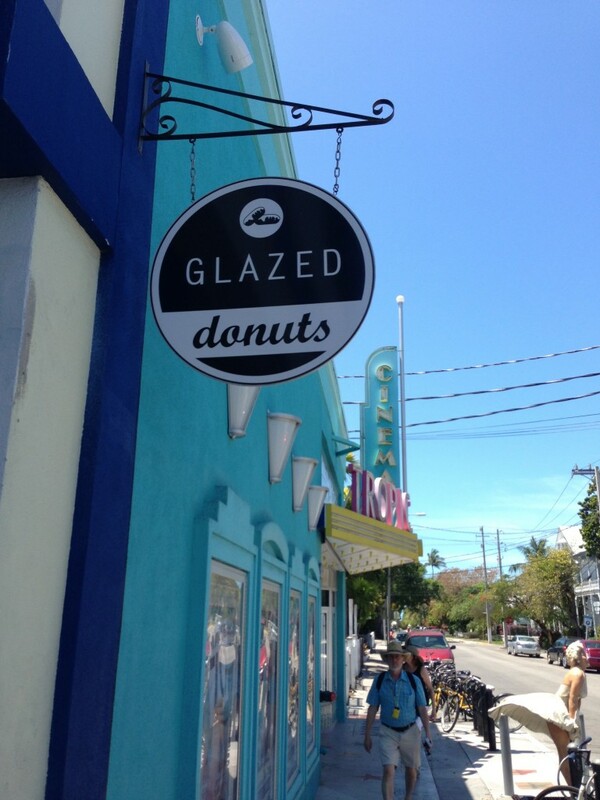 On a walk back to the hotel from the marina, I spotted Glazed and promptly noted it in my brain for the next morning. 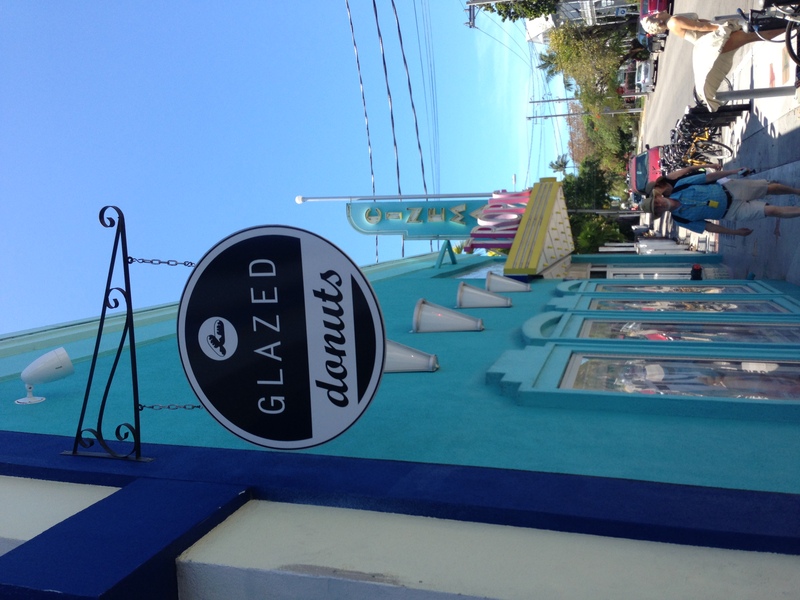 Self-dubbed the “Southernmost Donut Shop in the Continental US,” Glazed is just off the main drag on Eaton St. 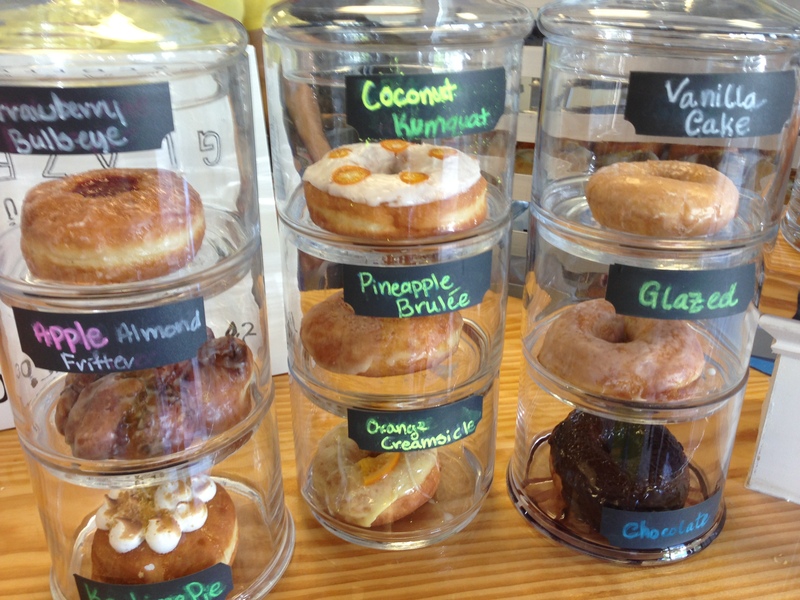 They pride themselves on using seasonal ingredients and hand making each donut from scratch. Most of the donuts are fruit-based and seasonal, but they have some of the traditional flavors too. I broke the mold and got 4 donuts, since my wife was there to help me consume: The Strawberry Bullseye, the Pineapple Brulee, the Glazed, and the Key Lime Pie. All 4 selections were yeast donuts. The Strawberry Bullseye was a good start, and the jelly tasted fresh, not processed. The Glazed was pretty standard. The Key Lime Pie donut got high marks for presentation with its golden brown toasted marshmallows on the top, a light glaze on the outside. The key part was the ample amount of key lime filling in the middle, which sat in the glass case beckoning every customer. It tasted just like a key lime pie, but the filling was a little too much. It overpowered the donut. The clear winner was the Pineapple Brulee. The flavor was awesome, the donut was soft, and the crunchy pineapple flavored sugar on the top was the perfect touch. Definitely worth a trip if you find yourself in the keys.